III A. CONDUCT A NEEDS ASSESSMENT ON AN ONGOING BASIS TO DETERMINE THE INCIDENCE OF BULLYING AND HARASSMENT. A first step in implementing a bullying prevention program is to conduct a Needs Assessment to obtain a set of base-rate (preintervention) measures against which to evaluate the efficiency of any preventative and treatment interventions. Bullying is a covert or “underground” activity that is difficult for adults to detect for many reasons. The majority of bullying is verbal rather than physical. Bullying episodes are, on average, short-lived. Observations of bullying on elementary school playgrounds indicated that they lasted an average of 37 seconds. Teachers rarely observe bullying directly. Teachers intervene in only 14% of classroom bullying episodes and in only 4% of playground episodes of bullying. School staff is generally unaware of the extent of bullying and victimization problems, even though much of bullying occurs on the playground, in hallways, classrooms, and locker rooms where teachers are immediately available to observe or intervene. Children who have been bullied report that teachers ignore their requests for help more than half the time. On surveys, teachers are only able to accurately identify fewer than one-half of bullies identified by peers. Parents are often similarly unaware of the extent of bullying and victimization and they do not discuss bullying with their children. Children are more likely to discuss bullying with their parents than with a teacher. Therefore, parents must be active partners in anti-bullying interventions. This section of the website will examine ways adults can ask about, survey and observe bullying, then determine how to translate this information into achievable goals, while anticipating possible barriers to proposed interventions. Possible barriers that may get in the way of intervention efforts and how these barriers can be anticipated and addressed. 1. What is the prevalence and how widespread are bullying and victimization in my school? Is it both on and off campus? 2. What form (type) of bullying occurs in my school? 3. Where and under what condition does bullying take place in my school? 4. Are school staff members present in areas where bullying occurs? 5. How do teachers and administrators respond to such bullying incidents? 6. How effective are teachers and administrators in controlling bullying? What evidence is there that such interventions work? 7. What is the form of the critical incident reporting and accompanying referral systems? 8. Does the bullying occur alone or as part of a group activity? 9. Do gang-related activities occur on campus? 10. What are the characteristics of children who bully? Who are the victims? lack of social and self-regulation skills; other reasons)? 12. What has the school done in the past to reduce bullying, harassment, and other forms of violence? 13. What specific intervention programs have been implemented to help children who bully and help children who are victims? 14. How do bystanders react? What can be done to engage bystanders to be part of the solution? 15. What evidence-based interventions have been found to reduce bullying? What interventions have not been found to be effective in reducing bullying? 16. What obstacles/barriers got in the way of prior efforts? How can these be anticipated and addressed in the future? 18. How have parents been involved in the bullying prevention program? Nature of the Behavior - What is the nature of their misbehavior? Did these behaviors result in office referral? Are there behaviors that are handled by some teachers in their classrooms, while other teachers use office referrals? Is there a trend in the type of disruptive behaviors? Personnel Reactions - Who refers students most often (teachers, yard supervisors)? Would the misbehavior receive the same response in other classrooms? When - When (time of day) do students tend to get in trouble? What months or days of the week are most likely to result in office referrals? Effectiveness - What consequences seem to reduce office referrals? Do these consequences work differently for different types of students? Is there a sequence of interventions that work? Are the consequences teaching students the skills and understanding that they lack? focus-oriented groups inquiring about bullying. Here are some sample questions that they suggest. These questions can be rearranged or added to as needed. It is important that the interviewer highlight the confidential nature of all responses. (Note it is not unusual to have half of the students or more answer “yes” to the question that they had been bullied at school. 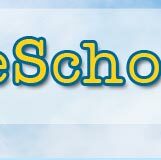 What is it like here at _________________[name of school]? That is, what is the feeling or climate like here? Describe it. Generally speaking, how well do students get along with one another? Are there identifiable [nameable] groups? What are the names of the main groups? Is it common that certain students hang together? If so, could these groups be described with names? How do members of the groups relate to one another? For example, how do the [athletes] get along with [artsy] students? Where do you fit in? In your view, what is bullying? How much bullying [picking on/scapegoating] goes on at _________________[name of school]? How does bullying affect young people? Can you provide an example? Is it important to reduce bullying here? Have adults [teachers, counselors, administrators] in the building done anything to reduce bullying? If yes to # 11, what? If yes to #11, how has it been going? Specifically, what has worked? What hasn’t? Why? 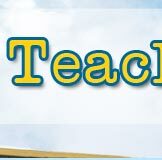 Are there any things that teachers or other adults have done that have made things worse? Can you give examples? You don’t have to use anyone’s name. Do some students get picked on more often than others? If so, why? Why do other students get picked on? Do you get picked on frequently? If so, why? Is there an adult in the school building to whom you could turn to for help with a problem? How do you like recess time? What is it that you like and dislike about recess? What could be done to improve recess time? What could be done to improve classroom discipline? Tell me some things that teachers or other adults in the building do to stop bullying and make student relationships better? How do you or others handle bullying? How do you feel when you see someone being picked on? What do you and others do when you see bullying occurring? Do you ever step in when someone is being bullied? Why or why not? What causes some students to bully others? How do you feel about bullying? Is there anything you’d like adults in the building to know about bullying? What have you learned from any discussions of bullying? Generally, how does this school feel to you? Do you have any other suggestions about how our school can curb violence? If you were the principal what would you do to make our school safer? Self-Report Interviews and Questionnaires. Here are some examples and a list of additional measures. when two students of about the same strength argue or fight. 1. By this definition, have you ever been bullied or picked on? 2. By this definition, how often have you been bullied in the past month? 3. By this definition, how often have you bullied others in the past month? 4. What happened when you were bullied or picked on? smaller, weaker or different (not including your brother or sister)? 6. How many times have you had something taken from you by force or by threats? 7. How many times have you been made to do something you did not want to do? 8. How many times have you been threatened or physically hurt? express their worries about bullying in school and the neighborhood. you marked are more dangerous? other form of violence might occur. “unmanned” (e.g., bathrooms, hallways, stairwells, certain areas of playground, locker room) where bullying is likely to occur. has been offered by Orpinas and Horne (2006). There are other measures that may be better suited to your school and to your intervention objectives. Think about what happened DURING THE LAST 7 DAYS, when you answer these questions. from your school tease you? push, shove or hit you? were going to hit you? kids leave you out on purpose? a kid from your school? shove or hit a kid from your school? a kid from your school a bad name? leave out another kid on purpose? Victimization Scale: Overt victimization = questions 1-4, relational victimization = questions 5-6. Aggression Scale: Overt aggression = questions 7-10, relational aggression = questions 11-12. They propose asking students directly if they bully others. Repeatedly push, shove or threaten other students because you felt like it? Spread nasty rumors about someone? With their friends or by themselves, excluded someone on purpose? Had someone else hurt or embarrass someone you don’t like? Been part of a group that do any of these things? For additional ways to assess students see Kelly et al. (2003), Dahlberg et al. (2005). of fellow students who bully others, and names of fellow students who are victims of bullying. Name the students in your grade who get picked on and teased by other kids. Name the students who get hit, pushed or picked on by others. Name students who have rumors, lies or mean things said about them. List three students who frequently bully others. List three students who are bullied often. to play the part of a Director of a movie or play. The Director gets to choose which students play which parts. The students are then given a sheet with all of the boys’ names in the class and a sheet with all of the girls’ names. Such a Class Play Measure can be used to obtain peer nominations. selection; we will narrow it down later. with other children more than most. aggression against peers at rates higher than most. 3. The child is frequently disruptive and gives oppositional responses to teacher directives. 4. The child seems to be rejected by the more adaptive children in the class. 5. The child is having academic failure or underachievement problems. Please list the names below. Rank ordering or filling in all of the slots is not necessary. 5. Provide a mechanism for parent contact. 1) Who – Who are the students who repeatedly get sent to the office? 2) Nature of Behavior-- What is the nature of the misbehavior? Are these behaviors handled by some teachers? 3) Location/When-- Where and when did the behavior occur? Alone or with peers? 4) Effectiveness-- What were the consequences and are they effective in reducing office referrals? What should be tried and how should they be evaluated? In some schools it is not unusual for a majority of the students being referred to the principal’s or vice principal’s office to be made up of less than 10% of the schools’ population. Teacher referrals for problem behavior tend to peak in Grades 9 and 10. Walker and his colleagues (2004) observe that this percentage is consistent with research that indicates that 65% of all juvenile crime is accounted for by 6%-8% of the juvenile population. The typical antisocial student in the intermediate elementary grades will average 10 or more office referrals per year. Any student who has 10 or more office referrals per year is considered to be a chronic discipline problem and in need of intervention. Useful resources to monitor and analyze Office Discipline Referrals are available from School Wide Information System, a computer monitoring system. The School Climate reflects the degree to which a school is perceived as being safe and inviting. In addition, to these general measures, each school has specific data that reflect the school’s climate. The following list provides examples of the type of indices that delineate School Climate. The following Scale by Altman and his colleagues provides some way to assess your School Climate. This self-assessment tool can provide a means to determine the level of “risk” for violence in your school. These questions can be addressed by all interested parties and provide the basis for intervention planning. 1. How many fights have occurred on school property during the last 12 months? 2. How often have weapons (knives, guns, etc.) been brought into the building during the last 12 months? 3. How often has drug dealing been observed on school property within the last 12 months? 4. How often has property been deliberately damaged or stolen on school grounds within the last 12 months? 5. How safe/secure do the faculty/staff feel when they are on school property? 6. How safe/secure do the students feel when they are on school property? How safe is the route to your school? 1. How many fights have reportedly occurred before or after school during the last 12 months? 2. How often are children recruited for gang membership on the way to and from school? 3. How much illegal drug trafficking exists in the neighborhood surrounding the school? visible on the routes to and from school? 5. 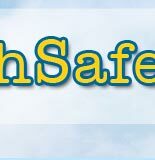 How safe/secure do the faculty/staff feel when they are on the way to and from school? 6. How safe/secure do the students feel when they are on their way to and from school? What resources do your school and community already have? 1. What violence prevention efforts are occurring in your school? 2. What already exists in your school’s instructional program that covers topic areas related to violence prevention and teaches accompanying skills? 3. Who in the school community (students, teachers, parents, community members) has the potential for taking leadership roles in promoting a safe, inviting school? 7. What other violence prevention efforts are occurring in your school community? 8. Which adults (faculty, administrators, maintenance staff, food service personnel, parents) in the school do students go to when they have problems? 9. Who in the school community has the potential for taking leadership roles in promoting a nonviolent community? 10. 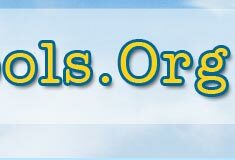 What additional resources do you have or would you like to obtain in order to create and maintain a nonviolent school? Bullying behavior in schools is more likely to occur when there is a gang presence on the school grounds. The following Gang Assessment Tool provides a way to determine the degree of gang presence on your campus. In most instances, aggressive behavior declines with age as children learn to control their natural tendency to be aggressive. emotions and get along with others. accompanying academic difficulties, especially in reading, will often show evidence of continuing adjustment difficulties. Walker and his colleagues (2004) offer the following guidelines when conducting screening of high-risk students. 2. Screen and identify at-risk students as early as possible in their school careers - ideally at preschool and kindergarten levels. 3. Use a multi-agent (teacher, parent, peers, observers) and a multi-setting (classroom, playground, home setting) screening identification approach. 4. Use teacher nomination and rankings or ratings in the early stages of screening and supplement these later with direct observations at school. Several instruments have been developed to screen for high-risk in young students. 6. The amount of academic engaging time (AET). When considering the results of these screening efforts keep in mind the so-called 50% rule. - Fifty percent (50%) of hard-to-manage preschoolers do not persist in demonstrating problem behaviors past ages 6 to 9. - Fifty percent (50%) of children diagnosed with conduct disorders will improve over time, no longer showing signs of aggression or antisocial behavior. will determine the likelihood of aggressive behavior persisting. Which students are most “high-risk” for engaging in aggressive and violent behavior at school? How early and with what reliability can we identify these potentially “high-risk” students? Clearly, the best predictor for the likelihood of students being violent is their past history of aggressive behavior. There is a relatively high stability in students’ aggressive behaviors when aggression began early in life. three 50 % of boys and 40% of girls demonstrate aggressive behavior and need to learn prosocial behavior. will develop persistent adjustment problems. Thirty-eight percent (38%) of kindergartners who show evidence of aggressive behavior will fail grade 3. Those who fail grade 3 have a 33% chance of demonstrating adolescent delinquent behavior. Aggressive behavior in grade 4 leads to peer rejection at grade 6 and accompanying academic failure. Two-thirds of aggressive boys are rejected, while only 20% of non-aggressive boys are rejected. Rejected children are two to three times more likely to leave school before graduation. in criminal activities as adolescents. C4. Which Students Are Most at Risk for Engaging in Aggressive Behavior at School? Have a past history of physical fights (either alone or with groups of students). Were injured and/or treated for aggressive acts. Are sent to the principals office repeatedly (10 or more times per year). Carry a weapon to school. Use substances at school (alcohol, tobacco, cigarettes, marihuana, and/or sell drugs). Steal property at school and/or who damage school property. Have been in trouble or who have been arrested before age 12. (e.g., in one study, 34% of these students reported carrying a gun to school). Are absent frequently (3 or more times without an excuse or without permission). Have been suspended 1 or more times. a gun is one of the best predictors for students bringing guns to school. How can one tell if the bullying prevention interventions are working? A useful resource has been offered by Dahlberg et al. 2005. Use student reports of interventions by others in bullying episodes. Assess students’ attitudes toward bullying and subjective norms towards bullying. Record the occurrence of observed peer instances for giving assistance to victims of bullying. Determine the student’s involvement in school-wide bullying prevention activities. Supervision patterns are increased in “high-risk” areas where bullying occurs. Teachers intercede in bullying episodes in and out of their classrooms. Classroom curriculum includes discussion about bullying and victimization. Teachers report that students approached them about bullying. Teachers’ attitudes towards bullying reflect a constant concern for students’ wellbeing. Teachers foster student and staff involvement in schoolwide bullying prevention activities. Teachers use the “teachable moment” to immediately address bullying issues throughout the academic day. interfere with both assessment and intervention efforts, and plan accordingly. Being prepared is the best strategy. but the biggest barriers are likely to be attitudinal. of a bullying prevention program? Consider the following expressed attitudes that adults may offer. “Children need to learn how to handle bullying if they want to succeed in this competitive world." "I don't have the energy to take on additional work"
"I don't feel comfortable with intervening"
"Bullying prevention is the program de jour"
how they would address each of these attitudinal statements. 1. Bullying is a normal part of growing up. 2. Interventions will make things worse. 3. There are too many barriers to intervene (lack of teacher training and resources). 4. There are questions about the effectiveness of such programs. How can promoters of bullying prevention programs respond to each category of attitudes?